September 30, 2011 January 13, 2012 Anna HibbardLeave a Comment on Liar! Liar! Pants on Fire!! Liar! Liar! Pants on Fire!! I wonder sometimes what is worse. The liar or the person who repeats the lie. Its beginning to look a lot like that time again. You know, the lying time or election year. 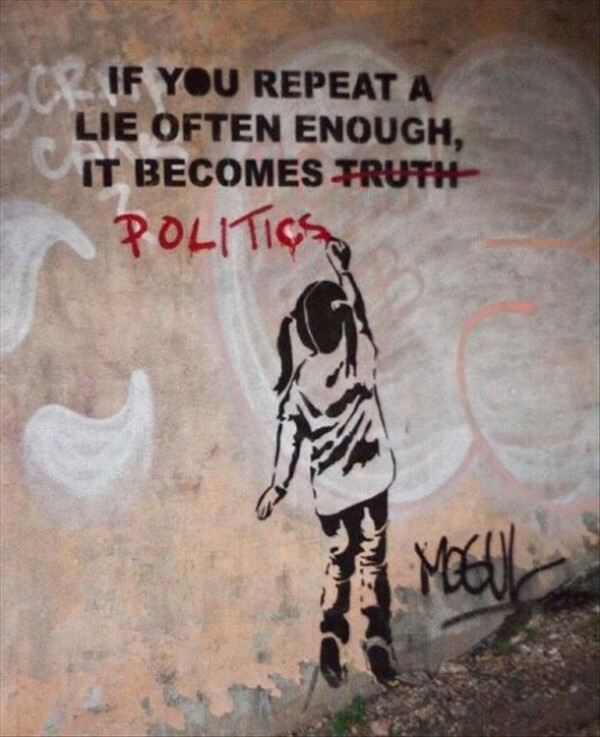 Any election is filled with stretching of the truth, the twisting of the truth, the lies by omission, and just plain old out and out lying. In case your wondering about my political affiliation, I lean more left than anything. But I’m not looking through rose colored glasses. All parties involved in any election does a little of the above. I don’t care if they are Republicans, Democrats, liberals, conservatives, independents, or whatever. Whoever “they” are, they are going to twist any little truth or information into the shape they want to see. I would encourage you this year not to believe everything you see, hear, or read about what ever party or candidate. Let’s not lose our heads. Lets all do a little research people. We are in a mess. How did we get here? I really have no idea. But its not just in this country, but the whole world. But I truly believe it can’t all be placed on one party or the other. Most of it is because the two main parties that we have do not believe in compromise. One thing I have learned in my life is you can’t have it all your way. Polls one week say one thing and the next week say something else. Polls are just numbers and are based on who they call and how many they call. I don’t know of anybody that has ever been called to participate in a poll. So I don’t place a lot of credence in them. Plus we’ve got over a year yet to go until we vote on a president. A lot can happen in 14 months. I think worse than the candidates and their election committees are the groups that operate on the outer borders of these candidates and have no “official” ties to them. They seem to put the craziest stuff out there. The news picks it up, its on the internet, friends are posting it on their social sites and every one that it is meant to appeal to runs with it and no one fact checks. So lets just stop and think before we start repeating “news” articles that we hear or read about. I’ve already seen stuff that just doesn’t make sense. Did a little digging and found so much erroneous information. People posting it as fact. Luckily I’ve learned to just walk away or scroll on down the page and leave it alone. You can’t change the mind of a radical. Let’s try not to be sheep. I’m not following someone off the cliff of misinformation and lies. I’m going to use the head that is on my shoulders and the thing between my two ears and figure out what is best for me. Previous Happiness is where you are. Next My name is Anna….and I’m a scrooge.